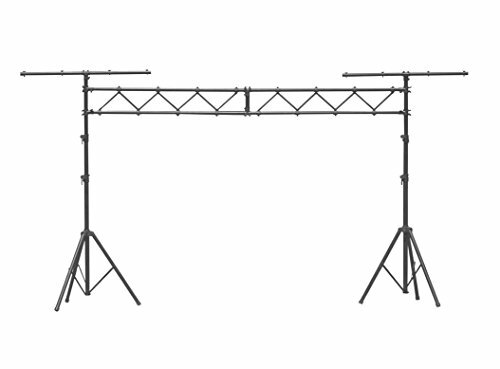 The affordable Backline stand and truss includes mounting hardware and features rock solid construction. Its black aluminum finish looks fantastic and practically disappears on most stages. Each of the 2 included T-bars holds up to 4 lights and the I-beam holds up to 8 lights. Specs include a 10-foot span, and a very impressive total load capacity of 200 lbs. (evenly distributed). This is one fantastic value! 38 lbs.